Join us for a non-gaming VR experience in which we focus on exploration. HomeStar VR: View the night sky from anywhere in the world. Eagle Flight: Become an eagle and soar through the city of Paris. Titanic VR: Explore the legendary ship in a submarine. A cosmic joyride with an earthling and an alien. Runtime: 1 hrs. 50 min. Did you know that Wisconsin was the first state to ratify the woman suffrage amendment granting women the right to vote in 1919? Wisconsin native Carrie Catt led two million women to lobby for passage of the 19th Amendment. Another Wisconsin native, Belle La Follette advocated for women’s rights and suffrage, testified before the US Senate, and spoke throughout the country. This year marks the 100th anniversary of many states ratifying the 19th amendment. In honor of this anniversary, author and professor Dr. Bob Kann will share tales of courage, perseverance, and political savvy. 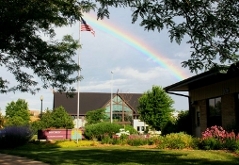 This library outreach program is sponsored by the DeForest Area Community & Senior Center, the DeForest Area Historical Society and the Library. This library outreach program is open to the community. If you have a disability and require accommodation in order to fully participate, please contact library staff.